Hello everyone, I hope you are all having a good day so far. Today you can finally download Animotica for Windows 10 and experience one of the best and easy to use video editing software available. With a current rating of 4.4 stars out of 5 and over 1,000 reviews from people who used it, it’s safe to say it’s probably worth your time to at least try it. Today we will highlight some reasons why you should give Animotica software a try on your Windows PC today. 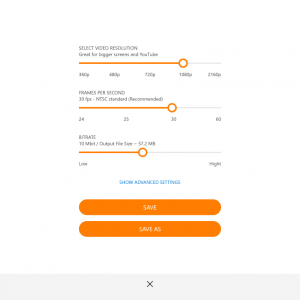 Besides that it comes with a free version to use, this video editing app also has less rendering time after you are done with your movies which is a plus, no one wants to wait an hour for a 15 minute video to render, not these days. The clever software makes use of your computers full power and can render most videos in a very short time compared to other similar programs. I also love the UI, you can easily navigate and learn how to use Animotica within a few days, some of you can probably master it within hours, especially if you have edited video before. It comes packed with tons of video effects and filters so it is really fun to play with and it doesn’t use or need too much of your computers memory to function well. Do you like this software? What is it missing? or is it just right? Let me know in the comments what you think. 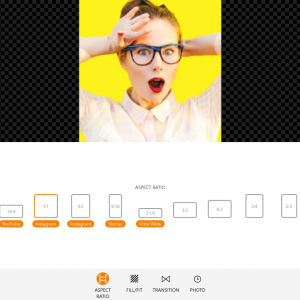 Animotica is an Easy-To-Use Video Editor, Movie Maker and Slideshow Video Maker for Windows 10. With this app you can easily join, split, trim and combine video and photo, add music, add voiceover, add transitions, scale, rotate video, adjust color and image, apply Chroma Key effect, add animated titles and captions, stickers, custom logo with amazing animations, apply Blur Background for video, make slow or fast video, make a square video for Instagram or vertical video for Instagram Stories and IGTV and more. 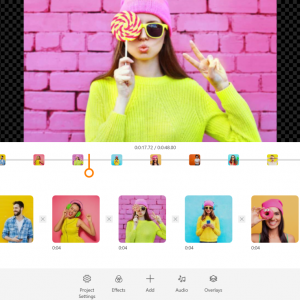 Try this Video Editor to understand how to easily create own video clip, movie or slideshow for YouTube or Instagram. Create marvelous videos, share personal moments and explore the video world. Make your ideas stand out on social media. Operate with various options not only for Twitter, Snapchat, YouTube or Instagram but other Social networking websites.